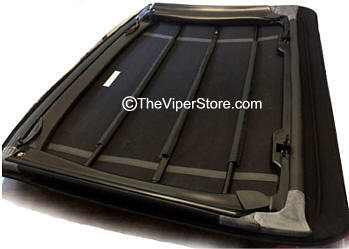 Brand new cloth with excellent condition frame factory and a complete brand new soft top cloth and used frame installed for 1997-2002 Gen 2 Viper. 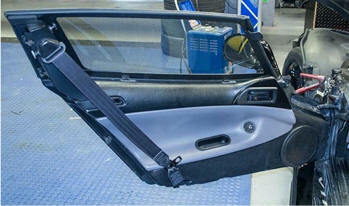 Soft top is complete with all functioning pins and hardware. estimated. Will be based on location. 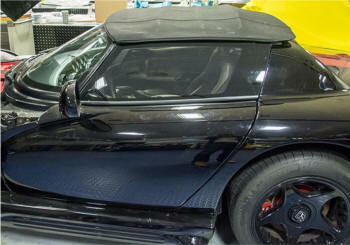 Factory used soft top for 1992-1996 Viper Gen 1 convertible complete. 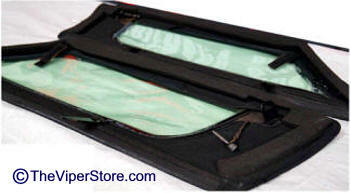 Includes nice cloth and used frame in very good condition ready to mount. 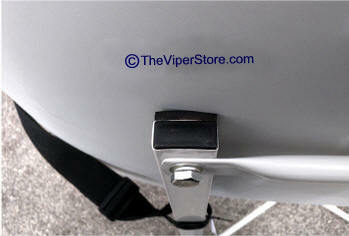 Some years may need Adjustable Universal Mounting Pins see product below. 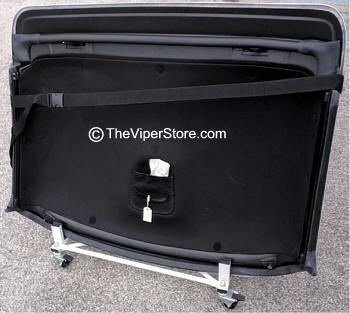 You may option to buy the Viper soft top fitment pin set of 2 below to insure whatever year your Gen 1 Viper is the top will connect smoothly. The connections varied throughout the 1992-1996. 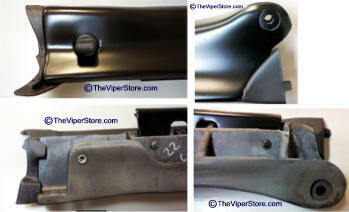 ** We will buy your old Viper Gen1 soft top frame call us. 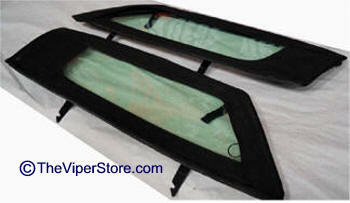 Replace your ugly vinyl windows that leak and make noise with these premium Lexan "glass" windows. 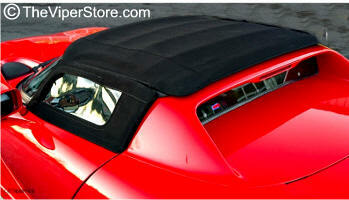 They look great and you will love the fit with your factory soft top! 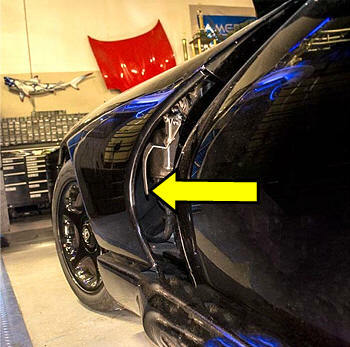 Included are these door poppers hidden behind your fender/hood. 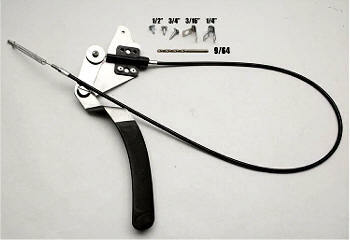 Reach in pull handle and your door pops open. No need to go in through the window. Beautiful Side Windows! You're going to Love them! 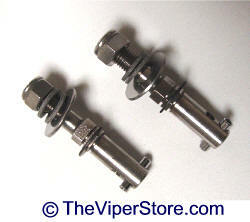 Set of 2 metal adjustable mounting pins allows you to fit a Generation 2 Hard Top to a Gen 1 years 1992-1993. The fittings pins were different length during the Gen 1 1992-93 years. 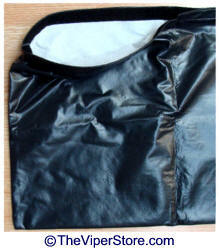 Velcro seal runs along top edges. 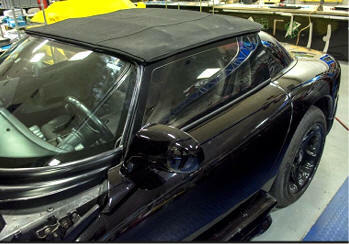 It has a soft flannel interior to protect your Soft Top from scratches and damage. 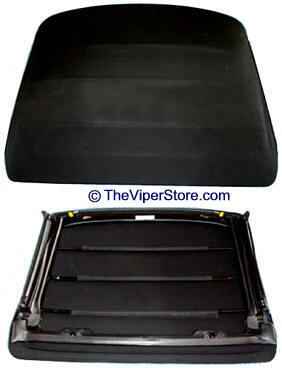 Brand new soft top cloth for 1992-1996 Viper convertible. 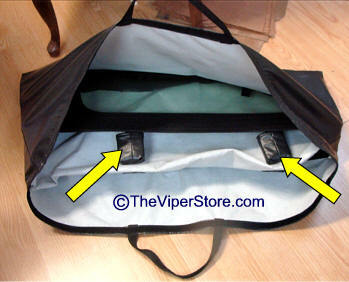 Includes NEW complete cloth top ready to mount on your frame. Uses factory original material. Available in colors Click Here. 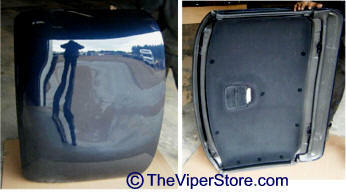 Yes we can Repair and/or fabrication parts for your 1992-1996 or 1997-2002 Viper convertible soft tops. 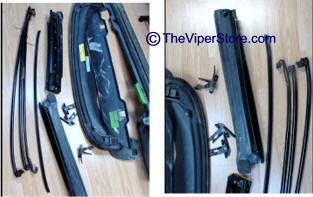 These are the official Dodge factory replacement arms for 1992-1996 Viper Soft Tops. Includes passenger and driver side arms. 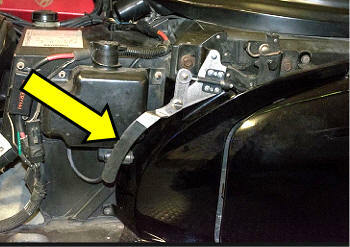 These swing arms were originally designed for the early '96 cars. They are the ONLY arms still available. 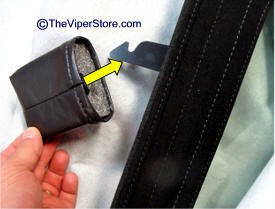 The can be used on 92-95 cars - but that will require simply drilling a small hole to accommodate the locking knob. . They are not a direct replacement for the '97-'02 tops. You may have to drill a hole for the locking knob. 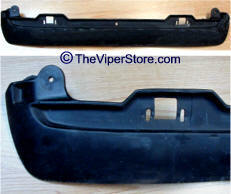 Dodge refers to this part to replace any soft top mounting arms from 1992-2002. So depending on the year you have you may have to slight modify the arms. If you are unsure give us a call. 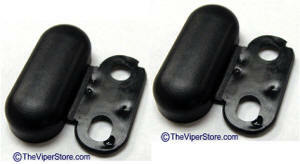 Factory original plastic double bolt cover. 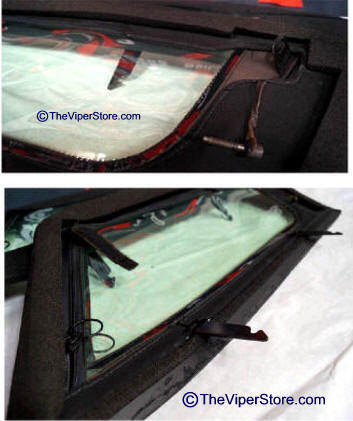 Fits inside around interior roof bolt caps and/or on underneath of the convertible top. 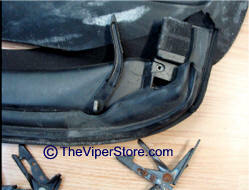 Designed to cover bolt heads. 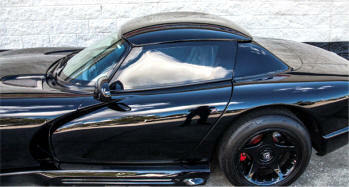 For the Hard Top and the Soft Top. Made of ABS plastic. 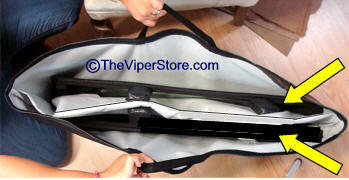 Factory Original used and in very good condition Viper Gen I side windows with zipper. Includes Right and Left Side Pop Window. 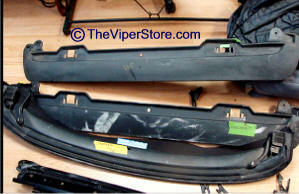 Will fit any Gen 1993, 1994, 1995 & 1996 Vipers. Replace or upgrade yours today! 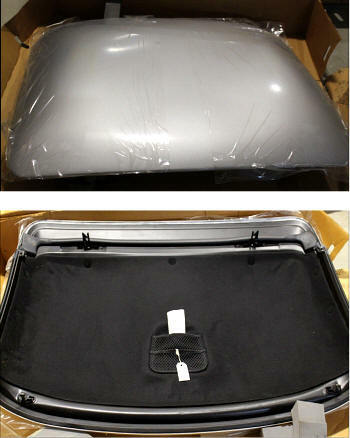 We offer Dodge factory hard tops brand new from Dodge. New tops come painted Silver. 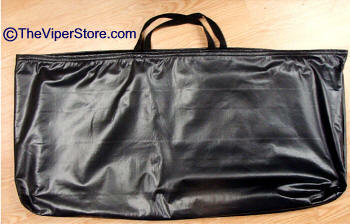 We do offer Used tops which come in various colors and conditions. Call with your needs and to see what is currently available. 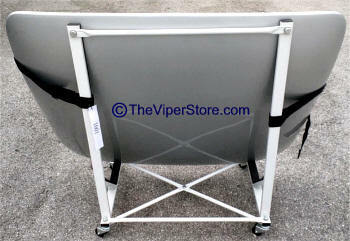 IH-EB-HT-CART Dodge Viper Hard Top Carrier Cart. 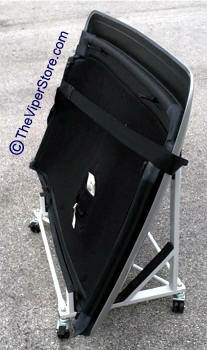 Cart on wheels specifically designed to carry hard tops. It has foam rubber padding wherever the top touches the cart. Tie down strap included. 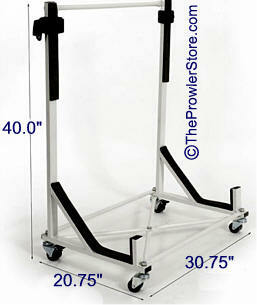 Easy to assemble, easy to use all metal cart with caster wheels. 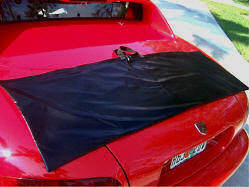 Finally a safe, secure and convenient way to store your hard top.